Shop online for over 1,100 dml plastic models at discounts up to 63%. Cars / Trucks / Vehicles is the most popular of the 6 dml plastic models categories, then Figures, and Airplanes. 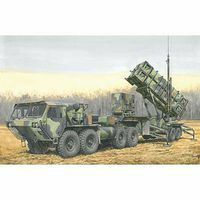 This is the 1/35 Scale MIM-104B Patriot Surface-To-Air Missile (SAM) System with M983 HEMTT Plastic Model Kit from the Black Label Series by Dragon. Suitable for Ages 14 & Older. This is the 1/72 Scale Flakpanzer V "Coelian" Plastic Model Kit from Dragon Models. Suitable for Ages 14 & Older. 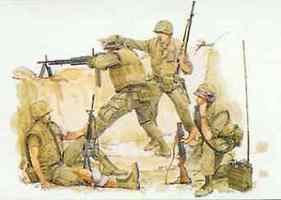 This is a 1/35 'Nam' Series U.S. Marines (Khe Sanh 1968) Kit from Dragon. Recommended for ages 10 and over. This is the 1/35 Scale IJA Type 95 Light Tank "Ha-Go" Hokuman Version from the '39 - '45 Series by Dragon. Suitable for Ages 14 & Up. 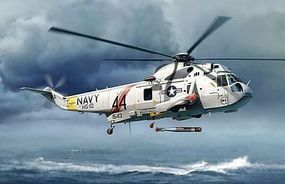 This is the 1/72 Scale Sea King SH3H Submarine Hunter Plastic Model Helicopter Kit by Dragon Models. 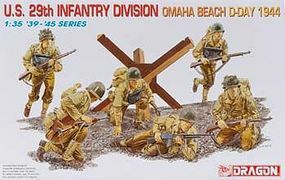 This is the 1/35 Scale US 29th Infantry Division (Omaha Beach D-Day 1944) Plastic Figures Kit from the '39 - '45 Series by Dragon. Suitable for Ages 14 & Older. This is a 1/35 Scale Panzer Riders (Lorraine 1944) Plastic Model Kit from Dragon Models. This is the 1/35 Scale German Felgendarmerie Plastic Figures from the '39-'45 Series by Dragon. Assemble two Tornado ECR models with this 1:144 Scale Plastic Model Kit from the Dragon Warbird Series. Suitable for Ages 10 and Older. This contains two models. This is the 1/35 Scale German Fallschirmjager Monte Cassino 1944 (4) Plastic Model Military Figure by Dragon Models. 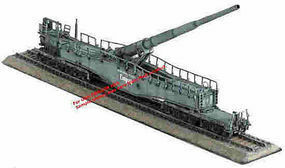 This is the 1/35 Scale M752 Lance Self-Propelled Missile Launcher Plastic Model Kit from the Modern AFV Series by Dragon. Suitable for Ages 14 & Older. This is a P-51D Mustang Plastic Model Kit from Dragon Suitable for Ages 10 & Older. This is a 1/35 Set of Four Marine Recon Soldiers from Dragon. 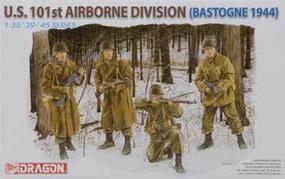 It's part of the 'Nam Series and recommended for modelers ages 10 and over. This is the 1/35 Scale Sexton II Canadian Army Late Production Tank Plastic Model Military Vehicle Kit by Dragon. This is the 1/35 Scale Pz.Kpfw.III (FL) Ausf.M with Schurzen Plastic Model Kit from the '39 - '45 Series by Dragon. Suitable for Ages 14 & Older. This is the 1/35 Scale AK-47/74 Family Plastic Model Kit from the Quartermaster Series by Dragon. Suitable for Ages 14 & Older. This is a Modern UH-1D Huey Plastic Model by Dragon Suitable for Ages 10 & Older. 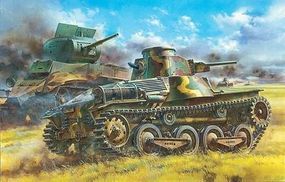 This is the 1/35 Scale PzBoebWg III Tank Plastic Model Military Vehicle Kit by Dragon.